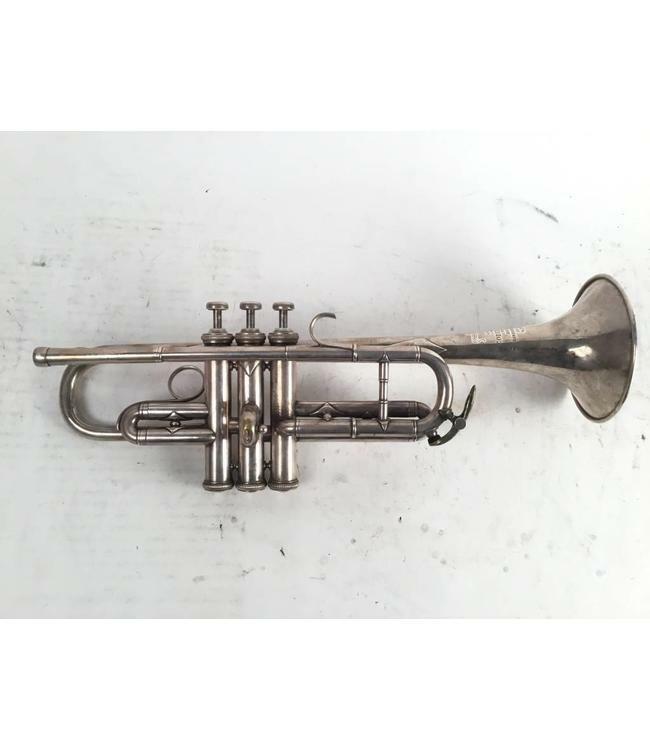 Used Couesnon & Cie "Monopole" D trumpet (only) in silver plate. Horn dates to pre-war and was produced in Paris although there is no serial stamped (21 hand etched on back of valve cluster). Overall good condition with evidence of dent repair thoughout including bell. 2nd valve slide has a dent which has not been removed. No case.